Arizona receives about 43% of its water supply from groundwater. 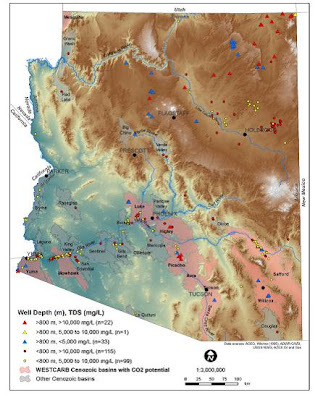 A new statewide study documenting salinity concentrations of 270 deep groundwater wells in Arizona found that fresh water can extend as deep as 5,000 feet (1,500 m) in some areas but below 6,600 feet (2,000 m) only brackish or saline groundwater was encountered. New Source of Geothermal Energy in Western U.S. Discovery of a new type of geothermal energy resource in Utah offers hope for significantly more potential across the western U.S., and a boost in geothermal power production. In 2011 and 2012, Utah Geological Survey geoscientists, in partnership with a U.S. Geological Survey research drilling crew, drilled nine temperature gradient holes in Utah’s Black Rock Desert basin south of Delta to test a new concept that high temperature geothermal resources might exist beneath young sedimentary basins. Preliminary results show that near-surface temperature gradients in the basin vary from about 60⁰C/km (33⁰F/1000 feet) to 100⁰C/km (55⁰F/1000 feet). 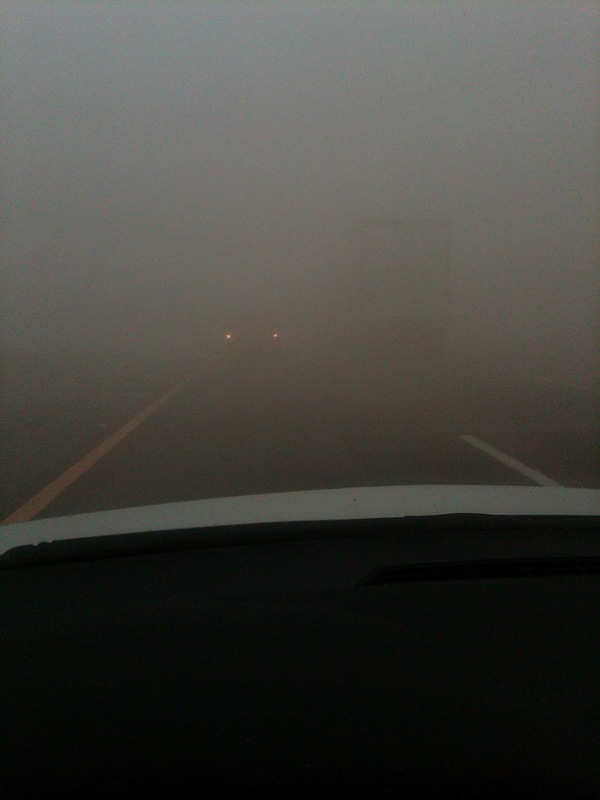 This implies temperatures of 150 to 250⁰C (300 to 500⁰F) at 3 – 4 km depth (10,000 to 13,000 feet) beneath the basin. An abandoned oil exploration well drilled near Pavant Butte in the central part of the basin in 1981 confirms these exceptionally high temperatures. Seven of the drill holes were funded by the U.S. Department of Energy as part of a National Geothermal Data System project, managed by the Arizona Geological Survey. The new holes also confirm the results from three other research holes that were drilled in the basin over the past few years; these were funded by the Utah State Energy Program and the Utah Division of Wildlife Resources. 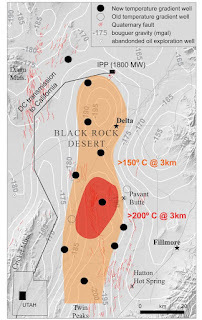 The 1,000 square kilometer Black Rock Desert basin is filled with unconsolidated sediments to a depth of 3 km, while the underlying basin floor comprises a variety of Paleozoic and older bedrocks. In some parts of the basin, porous and permeable carbonates (limestones and dolomites) are known to be present and these would be natural hosts for a geothermal reservoir. Using the drilling results, a reservoir modeling team at the University of Utah estimates a basin-wide power density of about 3 to 10 MWe/km2, (megawatts of power per square kilometer) depending on reservoir temperature and permeability. Given the large area of this basin, the power potential is conservatively estimated to be hundreds of megawatts, and preliminary economic modeling suggests a cost of electricity of about 10c per kilowatt-hour over the life of a geothermal power project. The modeling assumes air-cooled binary power generation with all produced water injected back to the reservoir so that there would be no emissions or consumption of water. The heat in the produced water would be exchanged at the surface in an air-cooled binary power plant. Such power plants are common these days in geothermal power developments. The cool, injected water would move laterally in the reservoir between injection and production wells, and can be considered as heat-farming at depth. Geothermal exploration in the Basin and Range Province of western Utah and Nevada has traditionally focused on narrow, hydrothermal upwelling zones along bounding faults of mountain ranges. Most current power developments have reservoir areas of less than 5 km2 (2 square miles). However basins within the Basin and Range usually have areas of many hundreds of square kilometers. Although the depth to potential reservoirs beneath these basins is deeper than the geothermal industry is used to, the large reservoir area offers economies of scale. 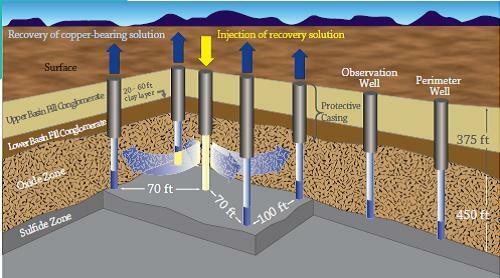 Drilling to depths of 3 – 4 km is not unusual in oil and gas developments. The project findings are being presented at 2:30pm on Monday, October 1, at the annual meeting of the Geothermal Resources Council in Reno, Nevada. A question and answer period with Dr. Allis will take place following the close of the session at 3:45pm at the Department of Energy Geothermal Technologies Program booth, 610-612. The National Geothermal Data System is in operational test mode, integrating large amounts of information from all 50 states to enhance the nation’s ability to discover and develop geothermal energy. Visit the State Contributions site at www.stategeothermaldata.org. A 3 minute video with and without subtitles is available at http://geology.utah.gov/blog/. New edition of "Carving Grand Canyon"
The second edition of Wayne Ranney's acclaimed "Carving Grand Canyon" is out, with dozens of new maps and figures, and includes new ideas on the origin of the canyon from the 2010 Geology Summit held in Flagstaff (including research from AZGS geologists Jon Spencer and Phil Pearthree). I wish I could add my personal observations but our copy of the book was grabbed by others on staff as soon as the package was opened and I haven't gotten to even thumb through it yet. 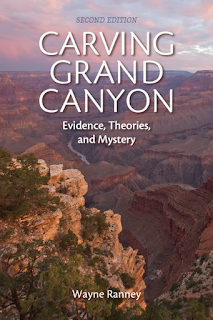 We should have it available for sale in the AZGS "Arizona Experience" store in Tucson shortly. The Arizona Dept. 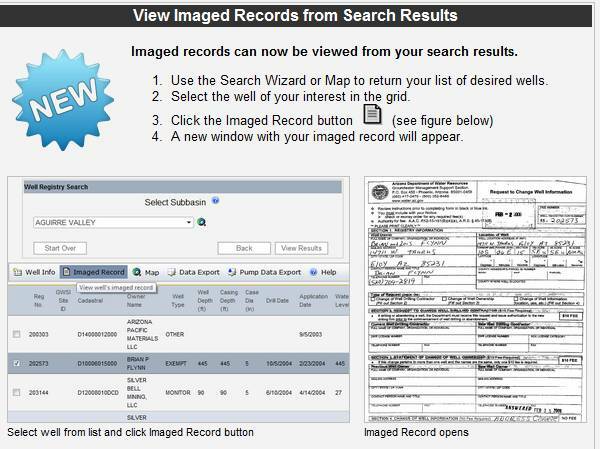 of Water Resources announced that the GIS Well Registry web application is now linked to imaged records. After completing your search from either the Search Wizard tool or the Web map tool, you can use the new Imaged Records button to view the well’s document. You can access the Well Registry User’s Guide. 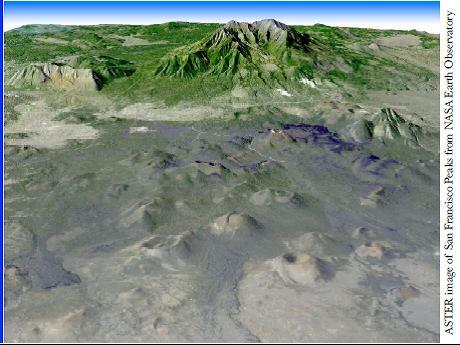 Congrats to Karen Fisher, ADWR's GIS Developer, for getting this online. 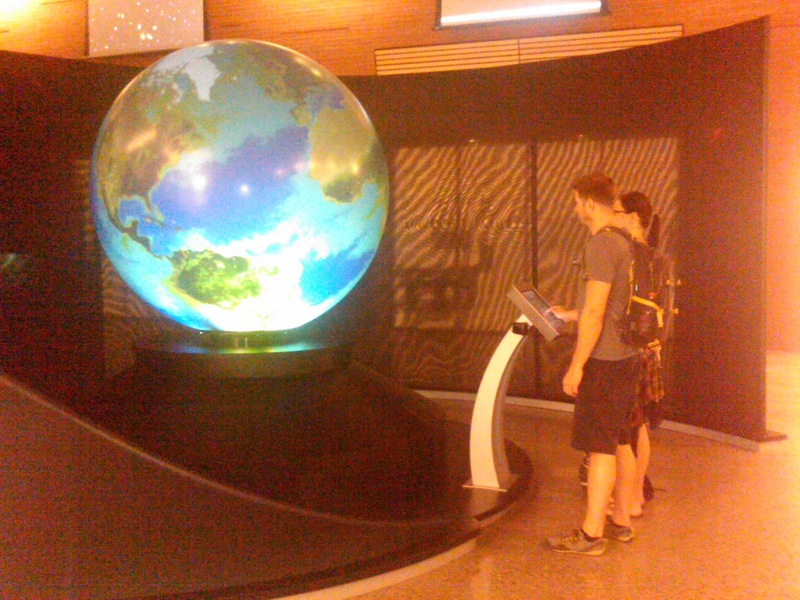 The new home of ASU's School of Earth and Space Exploration was formally dedicated on Wednesday with a grand opening ceremony and forum. 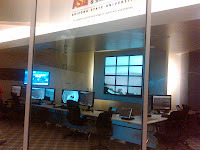 SESE shares the building with a number of engineering programs. The Interdisciplinary Science & Technology Building 4 (ISTB4, right. 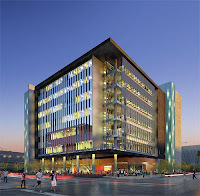 Credit ASU) "is the single largest research building at ASU, with roughly 300,000 square feet of premier high-technology research laboratories, office areas, and collaboration spaces specifically designed to promote transdisciplinary team interactions." The construction took over 70 million pounds of concrete (>20,000 cubic yards), 837 tons of structural steel, and 1,855,149 feet of wire (all of which had to be mined by the way). The main floor is set up like an interactive science museum with a spectacular giant globe where visitors choose what planet-wide phenomena to view. 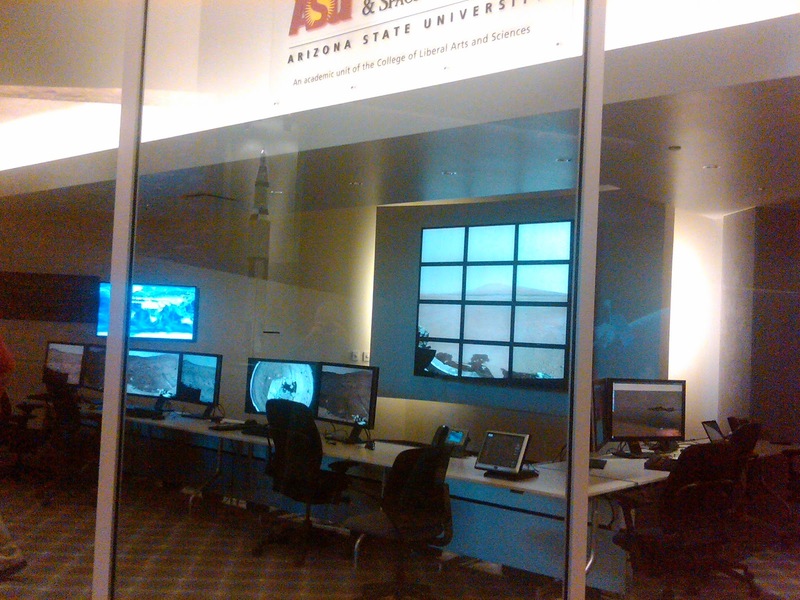 Video screens are everywhere, but your attention is drawn to the Mars operation center behind a wall of glass, with live feeds from the Red Planet. A Mars rover sits just inside the main doors and a wide variety of ASU's extensive meteorite collection is on display on the second floor veranda. 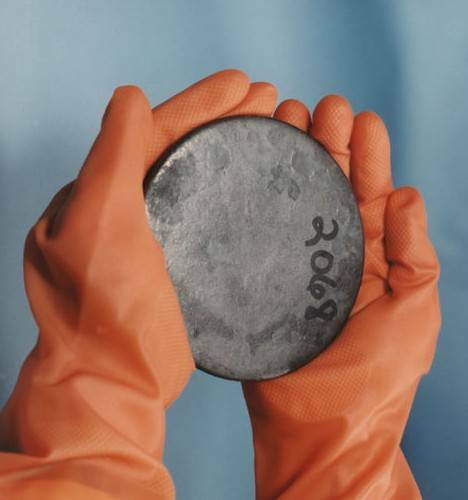 Crunch coming on uranium supplies? The mining industry has recognized for years that the world's nuclear power plants use more uranium than is being mined. The shortfall has been made up from stockpiles in Russia and other countries but that agreement ends in 2012. 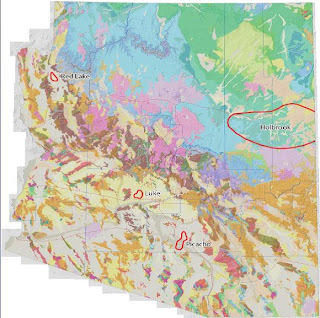 Thus, the industry's rush to find and develop enough uranium resources to keep the plants fueled, and one reason that the breccia pipes in northern Arizona, which have among the highest concentrations of uranium of any deposits, are a strategic target for mining. 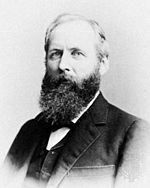 G. K. Gilbert - "A Captain Bold"
The article starts out, "Grove Karl Gilbert was considered by his own and future generations to be the greatest of all American geologists, and “a captain bold,” according to Australian geologist E.C. Andrews." Real estate developers have the support of Florence town leaders in opposing the proposed underground in situ copper leaching process. The town has closed down the offices of Curis Resources, made copper recovery illegal within two miles of the town, and banned the use of the sulfuric acid in copper operations (but not other applications). The Arizona Republic's put together an overview of what looks to be one of the nastiest such battles in Arizona history. The paper followed up with articles on the in situ process where a weak acidic solution is pumped underground to leach the copper out of the rocks and pumped back to the surface for recovery [right, credit Curis Resources], and another on some of the political back story. A Curis representative told the Arizona Mining Alliance luncheon crowd on Friday that they are moving forward with permits to start the copper project on state lands by next year. 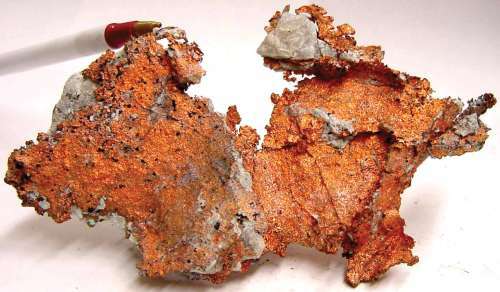 Arizona has produced 62.8 million tons or 125.6 billion pounds of copper during 1874-2010 per USGS, USBM, ADMMR, and AZGS publications, according to figures compiled by Nyal Niemuth in the AZGS Phoenix branch office. About half of that was produced since 1978. Proponents of processing spent nuclear fuel in Arizona set up a web site to promote the idea - http://arizonanuclearsolutions.org - with a slide presentation at http://ansaz.files.wordpress.com/2012/08/aeef-powerpoint-presentation-for-arizona-nuclear-solutions.pdf. The plan calls for burying the remaining nuclear waste in salt deposits in Arizona. State Sen. Al Melvin is the spokesman for the group and summarized the proposals at the Arizona Mining Alliance luncheon in Tucson on Friday. The Arizona Dept. 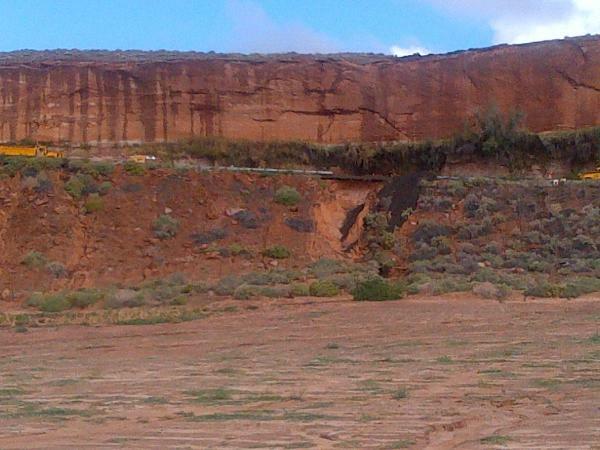 of Highways re-opened State Highway 264 east of Tuba City after a section was washed out by heavy rains on Wednesday. 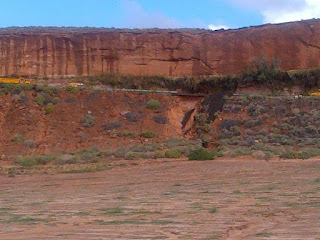 The temporary fix allows travelers on the Navajo and Hopi reservations access to the cliff-side road until more permanent repairs can be made next week, according to news reports. AZGS's Geological Mapping Advisory Committee [right] met in Phoenix last week to set priorities for mapping projects for the Survey. The 12 members come from state and federal agencies, and professional and trade associations across Arizona. The group reviewed proposals from the geoscience community and GMAC members for mapping in 11 different areas and the rationale for mapping each area. The meeting is open with a few other geology representatives sitting in. AZGS Chief Geologist is using this list to identify specific quadrangles to propose for matching funding from the USGS Statemap program. I'll share more details on why each area was chosen and what we hope to learn from the mapping. "Big Data" is the popular term for cyberinfrastructure and it's becoming one of the most significant disruptors in industry today, and on the verge of doing the same in the geosciences. 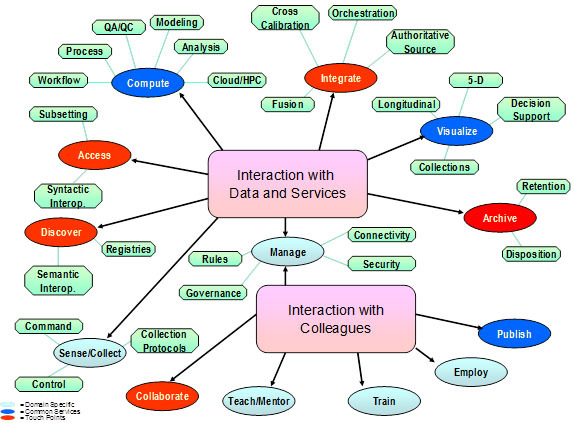 The EarthCube initiative is the prototype for the high-profile NSF Cyberinfrastructure for the 21st Century (CIF21) program, and touted as one of the premier components of the White House "Big Data" effort. The functions and guiding principles we compiled could serve as the basis for a solicitation from NSF to set up an EarthCube office to carry the concepts to fruition. AZGS has the workshop grant from NSF to develop the initial roadmap and I chair the Governance Steering Committee. AZGS researcher Genevieve Pearthree served as editor of both the roadmap and framework documents. 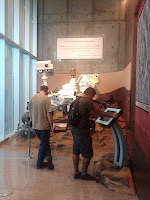 We've been on the road already this summer, carrying the concepts out to the wider geoscience and IT communities. A number of workshops are being organized around the country over the next six months to align community needs with the EarthCube vision. A crowd of about 50 showed up yesterday in the Capitol Executive Tower for a day-long workshop on geothermal energy in Arizona. The morning session focused on ground source heat pumps (GSHP), with animated discussions about how to calculate their efficiency and cost savings, and how to get home owners over the long held myth that these heating-cooling systems don't work in Arizona. The afternoon session looked at the potential for developing geothermal power plants. 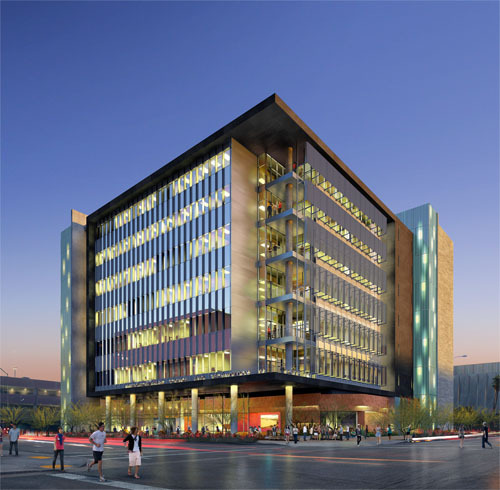 Arizona Public Service, the state's largest electric utility, and Ormat, the nation's largest geothermal plant developer, went through the requirements needed. The workshop was organized by Leisa Brug, the Governor's Energy Policy Advisor and her staff. I spoke in the morning giving an overview of the state's geothermal energy potential including power generation, direct-use (space heating, aquaculture, etc) and GSHP, and describing the National Geothermal Data System that we are helping build and deploy. We got offers at the meeting from half a dozen companies to contribute data on their geothermal installations to the database for Arizona, that can help everyone better evaluate and calculate system requirements. The day ended with a great roundtable among the group about what's needed to speed up geothermal energy development in Arizona. At a minimum, the networking during the day offered some connections for sharing information and data and a consensus that further meetings of the group will be of great value. I was heading home from the Capitol this afternoon around 4:30 and about 20 miles south of Phoenix the wall of dark rain clouds ahead turned to brown. My wife Ann says she was watching the news when reports came in that this haboob was heading north and hit Chandler on the south side of Phoenix about 15 minutes after I went through it. The latest agenda, circular and preliminary abstract volume for the Oct 18-20 Volcanism in the American Southwest conference are all on the conference website. Hotels: Evidently, Saturday is Homecoming at Northern Arizona University. Hotels are rapidly filling up. 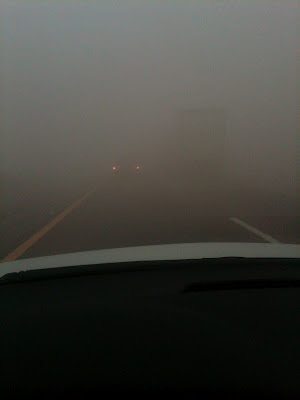 If you are not going on the field trip, this may not be an issue. However, if you are staying in Flagstaff Saturday night after the field trip, you will want to get reservations made soon. Abstracts: The draft abstract volume is posted at the conference website. Mineweb.com interviewed Fadi Benjamin, a mining analyst with Northern Securities Co., an investment bank based in Canada about a report from the International Fertilizer Industry Association that says "the fertilizer market is on the mend, with demand for potash rising 3.7% per year. Today, U.S. potash prices are at about $575 per metric ton (mt), compared with $380/mt last year." 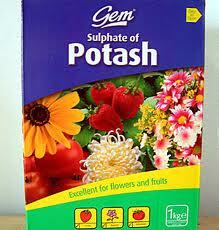 Potash is used primarily for fertilizer. The US imports 85% or more of its needs. Benjamin argues that farmers "stopped applying the mineral to cropland for a couple of years [due to high prices]. The holiday was possible because crops do not consume all of the fertilizer immediately, and the remainder stays in the soil as a reserve. But now, all around the globe, the potash content in soils is too low. The demand for potash has returned, and crop prices have significantly increased. We are now in a world of $7.90 spot corn prices, $16.65 spot soy and $8.89 spot wheat. It may take two to three years of aggressive potash application for North American soils to reach 2008 soil levels." Three companies are currently exploring the Holbrook basin potash deposit in eastern Arizona. A new report from the USGS describes uranium isotope data from "analyses completed at Northern Arizona University for groundwater and solid-phase leachate samples that were collected in and around Tuba City Open Dump, Tuba City, Arizona, in 2008." Ref: Johnson, R.H., Horton, R.J., Otton, J.K., and Ketterer, M.K., 2012, 234U/238U isotope data from groundwater and solid-phase leachate samples near Tuba City Open Dump, Tuba City, Arizona: U.S. Geological Survey Open-File Report 2012–1126, 2 p.